Trusted LASIK Surgeons™ provides you with the information and resources you need to take the next step in improving your eye care. Our primary goal is to assist help you improve your vision, but it is not always easy to know who is a qualified eye doctor who can best treat you and help you obtain better vision. Whether you need LASIK surgeons, cataract surgeons, ophthalmologists, or KAMRA Inlay surgeons, you can find trusted professionals available to you here. At Trusted LASIK Surgeons™, you’ll find the true expert in vision correction procedures such as LASIK surgeryin cities and states throughout the United States. There are many new options for cataract surgery including premium lens implants to reduce the need for distance glsasses by correcting astigmatism or multfocal lenses to reduce the need for reading glasses. Laser assisted cataract surgery is another option available at additional cost. We always recommend that education be the first step in this process. It’s important to understand the procedure, the benefits, the risks, and the possible side effects associated with any vision correction procedure it. Please visit the FDA’s Discussion on LASIK to learn more about this. Then, take a closer look at the Trusted LASIK Surgeons™ listed here. With the information we provide you with here, you can find KAMRA Inlay, LASIK, cataract, and refractive surgeons in your area that meet your needs. The vision correction experts listed at Trusted LASIK Surgeons™ can help you to improve your vision.The TLS website has animated videos to help you sort through the pros and cons of these new tecniques for both cataract and LASIK surgery. We recommend that you compare the qualifications of the LASIK and cataract surgeons listed in our directory to determine which one is best suited for your unique vision correction needs. Perhaps you want laser eye surgery such as LASIK. If you’re tired of wearing reading glasses, you may be interested in the KAMRA Inlay procedure. Or you may be looking for another refractive surgery procedure . Perhaps you need cataract surgery. Each of the professionals listed here can help you connect with the vision correction services right for your specific needs. Trusted LASIK Surgeons™ aims to provide you with the best access to reputable, experienced and trusted vision care specialists. It’s our mission to always ensure you find a highly qualified eye surgeon and get the best possible outcome. Who Is The Right Professional Ophthalmologist for You? Will evaluate your vision properly. How do you know which is the best? Please see our discussion on Why Choose an Expert Listed Trusted LASIK Surgeons?™?™. We also special informational reports to you, which are of no charge, which can help you. Be sure to check out our True Cost of LASIK Discussion and Download our Consumer Checklist on LASIK Cost Considerations as well as other reports we provide to you. Talk to your potential LASIK surgery specialist about the options available to you and what these reports can offer. You can get started today. Take a few minutes to look at the profiles listed on our site for your area. Connect with the mentioned surgeons, which list their credentials on their sites in their bios. You can also find helpful videos of LASIK, cataract and other refractive surgery procedures typically offered by these highly qualified eye surgeon professionals. All you have to do is find a professional local to you that offers the procedure you want. Take control of your vision today ... in 3 simple steps. Review. Review the profile of a surgeon featured in at Trusted LASIK Surgeons™. Compare. 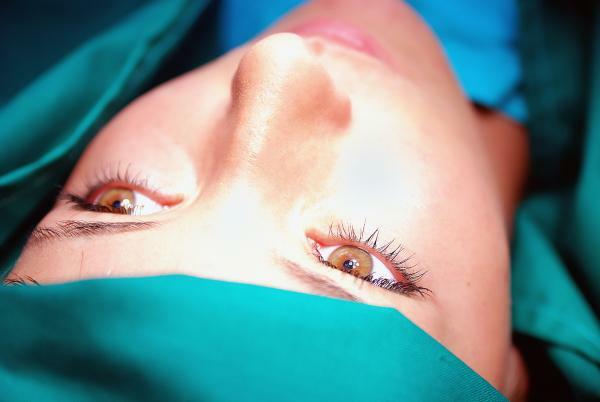 Compare the qualifications of a surgeon you find here with others you are considering. Choose. Choose a surgeon featured at Trusted LASIK Surgeons™ with confidence!